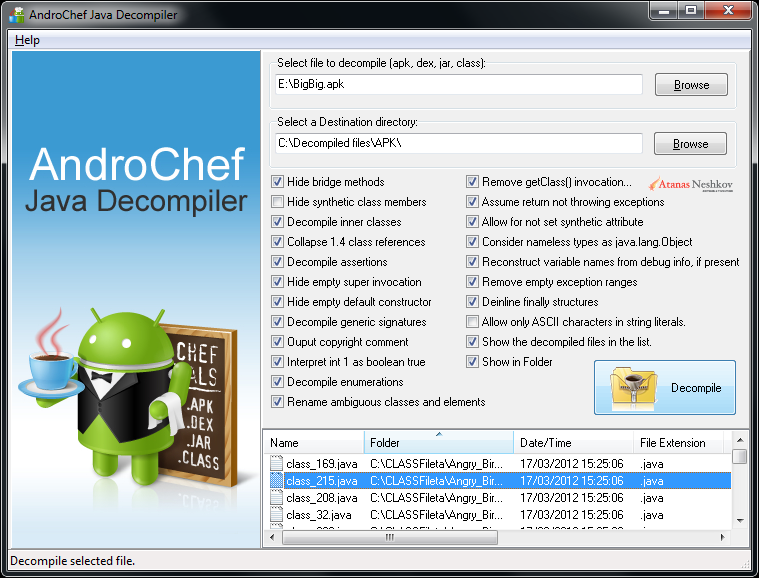 With AndroChef Java Decompiler you can decompile apk., dex, jar and java class-files. It's simple and easy. AndroChef Java Decompiler is Windows XP, Windows 2003, Windows Vista, Windows 7, Windows 8, 8.1 and Windows 10 decompiler for Java that reconstructs the original source code from the compiled binary CLASS files. AndroChef Java Decompiler is able to decompile the most complex Java 6 applets and binaries, producing accurate source code. AndroChef successfully decompiles obfuscated Java 6, Java 7 and Java 8 .class and .jar files. Support Java language features like generics, enums and annotations. According to some studies, AndroChef Java Decompiler is able to decompile 98.04% of Java applications generated with traditional Java compilers- a very high recovery rate. It is simple but powerful tool that allows you to decompile Java and Dalvik bytecode (DEX, APK) into readable Java source. Easy to use. Useful for Java developers, programmers, software engineers and enthusiasts. Complete Android Decompilation suite, very easy to use. Select the file (apk, dex, jar, class) or folder you want to decompile. Select a folder to decompile file to (Destination directory). Selected files will be decompiled to the location you choose. This will display the decompiled file as syntax-highlighted source code in the right pane - "Code vew". If you click Left Mouse button + move the mouse wheel , the text in "Code vew" will zoom in or out. New in version 1.0.0.13: Updated decompiler engine, converter and "APK Tool Decode and Baksmaling". New in version 1.0.0.12: Updated decompiler engine, converter and "APK Tool Decode and Baksmaling". New in version 1.0.0.11: Updated decompiler engine. Added option "APK Tool Decode and Baksmaling" to extract, decode and baksmali APK files with apktool (credits: brut.all, iBotPeaches and JesusFreke). New in version 1.0.0.10: Updated converter and decompiler engine. Added option to explore previously decompiled Java archive files (JAR). New in version 1.0.0.9: Improvements, updates, bug fixes and better handling of obfuscated files (apk, dex, class and jar). New in version 1.0.0.8: Improvements in the converter, bug fixed. New in version 1.0.0.7: Minor improvements and better handling of some obfuscated files (apk, dex, class and jar). New in version 1.0.0.6: Fixed some minor bugs. New in version 1.0.0.5: Fixed some minor bugs in the GUI. Special thanks to Assoc. Prof. Dr. Tzvetomir Vassilev for his bug reports. 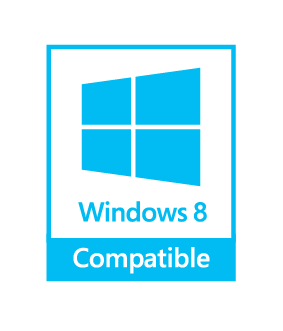 The problem with AndroChef Java Decompiler not working on Windows® 8 was finally fixed. New in version 1.0.0.3: To avoid some glitches in decompilation when using a large APK, JAR or DEX files: In this case it is better to extract these files to a directory on your hard drive before decompiling them. In this version, it is possible to select a directory with files and to decompile the entire directory. Directories are recursively scanned for file extensions class, zip and jar. Please Note: Decompilation process is not instantaneous. For large APK files (over 10 MB) - decompilation may take several minutes to complete or even longer, depending on the configuration of your computer and the size of the file. This does not mean that the program is not responding, or that is frozen. It isn't, it just has to do a lot of file reading and writing. If you see the status bar message "Decompiling ... This may take a while. Please wait." - everything is fine and you just need to wait until the end of the decompilation process. There is no progress indicator yet. Using the "APK Tool Decode and Baksmaling" is significantly faster. Known Issues: AndroChef may not work properly with Java JRE 64-bit. Probably not a big issue as Oracle recommend to install the 32-bit JRE on 64-Bit Windows Computers. 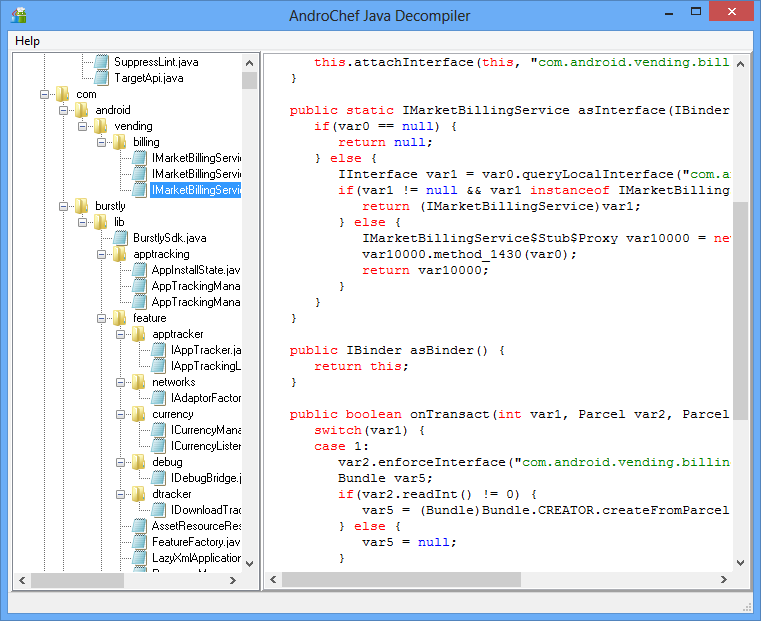 You can use AndroChef in conjunction with DJ Java Decompiler. Why is AndroChef Java Decompiler useful? AndroChef Java Decompiler is useful for recovery of lost or accidentally destroyed source code. Decompiling Java is an excellent way of learning both Java and how the Java VM works. AndroChef Java Decompiler makes it easy to peek into Java classes and learn from the source. Its easy to use and intuitive graphical user interface eases the learning curve for new starters in Java. Fixing and debugging .class files. Use AndroChef Java Decompiler when developers are slow to respond to questions that need immediate answers. AndroChef Java Decompiler is useful for exploring the sources of Java runtime libraries. Without a valid license, AndroChef may be used for evaluation purposes only. Evaluation reminder screens are removed after purchasing an AndroChef license. 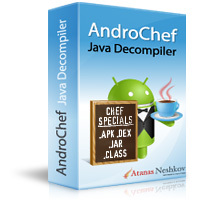 For more information visit AndroChef Java Decompiler home page: http://www.neshkov.com/ac_decompiler.html. This is a free fully functional trial version available for 10 uses. If you like AndroChef Java Decompiler, you can purchase a license from the ’Purchase’ button below. We sell AndroChef Java Decompiler via RegNow - part of the Digital River. © 2016 Atanas Neshkov Ltd. All Rights Reserved.